Big Machine Label Group showcased the talents of several artists on its star-studded roster at last weekend’s Brickyard 400 Presented by Big Machine Label Group race. Laura Bell Bundy, Justin Moore, Cassadee Pope and The Cadillac Three all performed during the event, held at Indianapolis Motor Speedway. 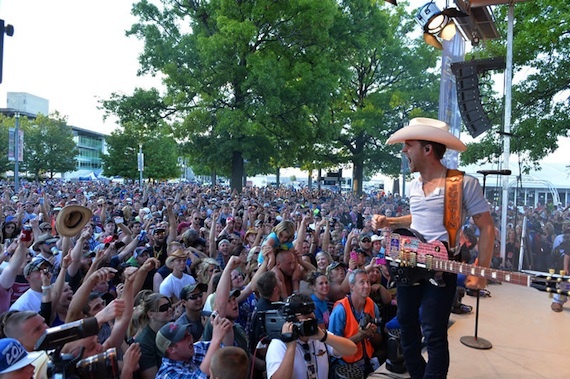 Justin Moore gets an enthusiastic crowd response during his performance at the Brickyard 400. Laura Bell Bundy performs her single “Two Step” on the Brickfest stage. 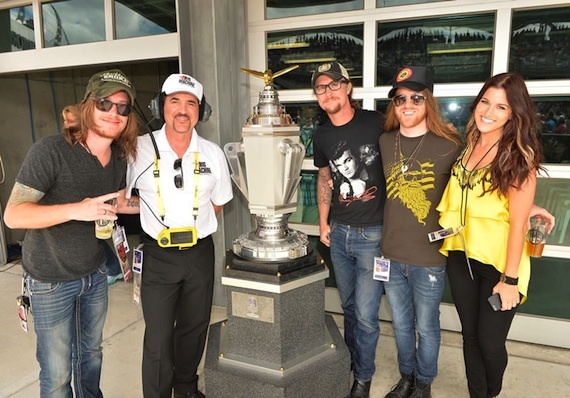 Pictured (L-R): Cadillac Three’s Jaren Johnston, Big Machine Label Group’s Scott Borchetta, Cadillac Three’s Kelby Ray and Neil Mason, and Cassadee Pope. 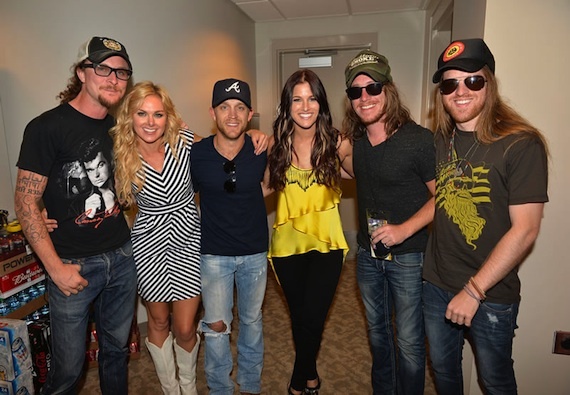 Pictured (L-R): Cadillac Three’s Kelby Ray, Laura Bell Bundy, Justin Moore, Cassadee Pope, Cadillac Three’s Jaren Johnston and Neil Mason. Big Machine Label Group gets ready to kiss the bricks. 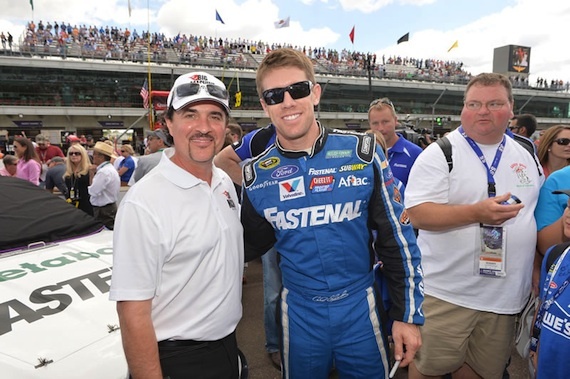 Pictured (L-R): Big Machine Label Group CEO Scott Borchetta with Carl Edwards.